The earth travels around the sun every 365.242199 days, or what we call a “solar year.” The ancient Romans devised the Julian calendar that lasted 365.25, but the solar year is eleven minutes and fourteen seconds shorter. This slight difference added up over time. By 1582, the Julian calendar was ten days behind the solar calendar. 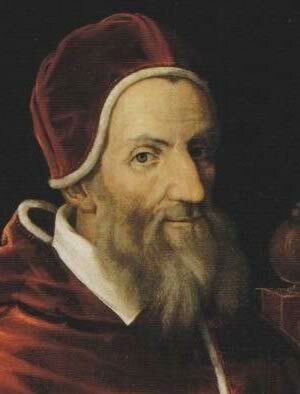 Most western nations began using the Gregorian calendar, named for Pope Gregory XIII. The Gregorian Calendar synchronized the calendar year with the solar year by skipping the next ten days. The day after October 4, 1582 was October 15, 1582. The governments of England and its American colonies did not follow the teachings of the pope, so they did not adjust to the Gregorian calendar until 1752. By this time, the Gregorian calendar was twelve days ahead of the Julian calendar. Most of our calendar years last 365 days, but every four or eight years we add one day to February. February usually has only 28 days, but the month lasts a day longer in what we call “leap years.” Years divisible by four are usually leap years. The last four leap years were 2008, 2004, 2000, and 1996. Our next leap year will be 2016. 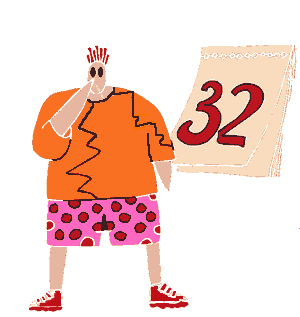 You have a problem if your calendar has 32 days! Adding a leap year every four years would make the calendar year last 365.25 days. The time it takes for the earth to orbit the sun is 365.242581 days, which is .007419 of a day shorter, so the Gregorian Calendar makes other adjustments. Centennial years are years that end in 00. Centennial years are not leap years unless they are divisible by 400. This means that 1700, 1800, and 1900 were not leap years, but 2000 was. The next time someone says that there are 365 days in a year; you’ll have a lot of corrections to offer! Pope Gregory XIII (1502 –1585) commissioned what became known as the Gregorian calendar, which remains the internationally accepted civil calendar to this day. Mercury has the shortest year and the longest day of the planets that revolve around the sun. Mercury spins on its axis every fifty-nine days, but the planet’s trip around the sun is only eighty-eight days. On Mercury, a year lasts less than a day and a half. 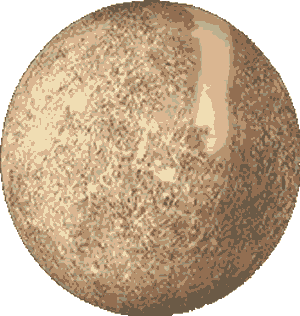 If you lived on Mercury, you would have at least one birthday every day, but the days would be very long.